ANNEALING/SOLDERING PAN 7 Inch Diameter. Lazy Susan style - includes 1 Lb. Pomice. ANNEALING/SOLDERING PAN 12 Inch Diameter. Lazy Susan style - includes 2.5 lb. Pomice. POMICE FOR ANNEALING PAN: One pound bag. Our regular braze boards made of spun glass and clay. They are the least expensive are but they do create dust and crumbs. Silquar blocks are very popular now, as they are very hard ... no flaking. Honeycomb is both hard and porous to prevent heat sinking. 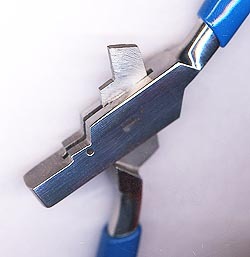 Wires can be inserted into its small holes as pins and hold downs. Magnesium blocks are very soft and are the best for careful pinning. Charcoal can be pinned but it cracks and burns up quickly. Charcoal is best for melting round balls. A binding wire wrap circling the edges of a charcoal block or a honeycomb block usually helps it stay together longer. Choose the right block for the things you need them to do. Most people have several depending on the job. EUROTOOL SOLDERITE BRAZE BOARD - 12"x 12"x 1/2"
Non-asbestos soldering pad for temps up to 1700 which are durable smooth and heat reflective. Fairly hard so as not to flake or crumble. SILQUAR SOLDERING BOARD - 6"x 6"x 1/2"
SILQUAR SOLDERING BOARD - 6"x 12"x 1/2"
SILQUAR SOLDERING BOARD - 12"x 12"x 1/2"
Ceramic. 3-3/4" X 5-1/2" X 1/2"
MAGNESIA SOLDER BLOCK Soft to accept pins. 6" X 3" X 1-1/2"
Genuine Charcoal - not artificial or synthetic. 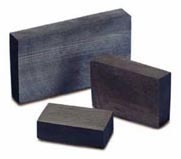 CHARCOAL BLOCK - 3-1/2" x 2-1/4" x 1-1/2"
CHARCOAL BLOCK - 4-3/4" x 3" x 1-1/2"
CHARCOAL BLOCK - 7" x 4" x 1-1/2"
Box joint, stainless steel. Euro-Tool. HEAVY HEATING FRAME 6" X 6"
Woven heavy wire. Raises work up off of heat robbing soldering boards. 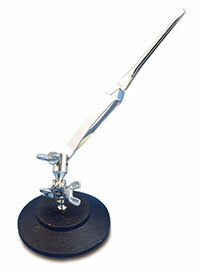 Tip Operating Length - 2.5"
Overall size of assembled Carbide Pick - 7"
Cast iron ring w/ 6-1/2" steel legs. Includes 6"X 6" light mesh screen. IRON BINDING WIRE 1/4 lb. Spool - .0125"
pickle safe copper and brass round wires. BRASS BRISTLE BRUSH 1" X 3" Hard brass bristle. Wood base/handle. prep for further soldering or to give metal some scratch for oxidizing. These are the same Cross-Locks as the top illustration except they have straight tips. 6-3/4" Soldering Tweezers w/ Smooth Curved Tips: Grobet - Nickel plated steel. 7" Soldering Tweezers w/ Serrated Straight Tips: Grobet - Nickel Plated steel. 6-3/4" Soldering Tweezers w/ Smooth Straight Tips: Grobet - Nickel Plated steel. 6-1/2" Cross Lock Soldering Tweezers w/Blunt Serrated Tips: Grobet - Nickel Plated steel. 4-3/4" Soldering Tweezers w/Sharp, Smooth Tips: Grobet - Nickel Plated steel. 4-3/4" Cross Lock Soldering Tweezers w/Sharp, Smooth Tips: Grobet - Nickel Plated steel. 9 Inch Copper Tongs - Riveted, bent tips. 9 Inch Heavy Duty Copper Tongs - Riveted, bent tips. Batterns Liquid Flux. 3 ounce bottle. Batterns Liquid Flux. 8 ounce bottle. HANDY Paste Flux. 1/4 lb. HANDY Paste Flux. 1/2 lb. HANDY Paste Flux. 1 lb. BORIC ACID Powder. 1 Lb. 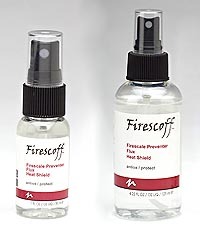 Mix with denatured alcohol for use as an anti-fire scale coating before brazing. Apply flux (above) after and in addition to coating your metal with this Boric Acid. TIX ANTI-FLUX - 1/2 oz bottle w/ brush in cap. (except pearls, opals, turquoise and other soft stones). Rinses off in plain water. 10 ounce can - makes a quart of pickling solution. 2-1/2 lb. bag - makes a gallon of pickling solution. A stronger acid than Sparex No. 2 for pickle cleaning soldered nickel silver. Fire it up and do the job quickly. Heat the big pieces first. Dim the lights if necessary to "see" the metal's temperature. The solder follows the heat - use this to help control where it flows. Finish by bringing the whole area (of silver) up to temp. to completely flow the solder. © Copyright 1996-2019 MonsterSlayer™, Inc.